Paraguayan defender Adalberto Román has arrived. He comes as a loan for US$200.000 until the end of the year and is already training with the squad. If Palmeiras in 2013 would like to permanently release the 24-year-old from his contract with River Plate they need to put an additional US$3.5 million on the table. Román will be the third Paraguayan defender to pull on the Palmeiras jersey; Rivarola and Gamarra have passed through here before. One more foreigner arrived in São Paulo today: Argentine centre forward Hernán Barcos. 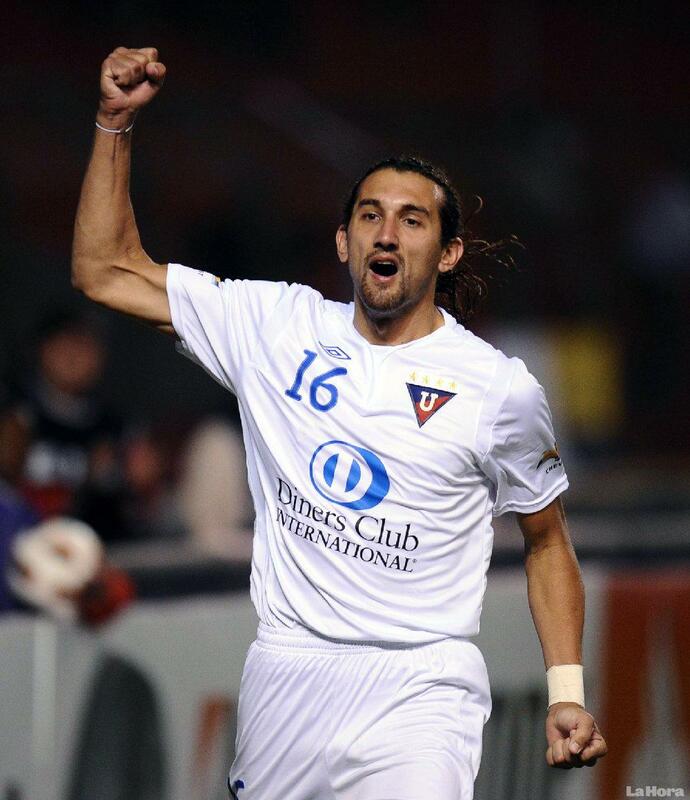 Barcos leaves LDU after Palmeiras having offered the Ecuadorian club US$4 million for 70% of the player’s economic rights. Destined to sign a three-year contract, 27-year-old Barcos seems in good shape, eager and confident. Let’s see if Scolari finds the right place for him on the team – up there in the penalty zone where his 1,89 meters and 81 kilos make a difference. Then there’s Jonas, the right-winger from Coritiba who was negotiating with Palmeiras but in the end preferred Santos (and clearly spelled it out in an interview). Turned out the deal with Santos didn’t materialise and Jonas… Well, the 24-year-old might, to Scolari’s delight, end up at Palmeiras after all. Seems as the deal involves roughly US$1.2 million to Coritiba and that Jonas and Palmeiras are already agreed on salaries. 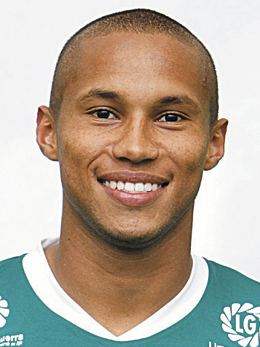 If the deal goes through, Jonas would be the fifth reinforcement in 2012 (after Barcos, Román, Daniel Carvalho and Juninho). Not only are players arriving, but a few are leaving as well. Striker Dinei is returning to second division club Vitória, where he played in 2008 before being transferred to Spanish Celta de Vigo. Dinei never got it right at Palmeiras, scoring only once in 21 appearances (although we must admit that most of the games he would come on in mid/late second half). Another player seemingly on the move is Vinícius. The young striker has for some time been targeted by Udinese (what IS it with these guys at Udinese; they’ve already snatched Danilo and Gabriel Silva) but now it seems a Spanish club have entered the scene. 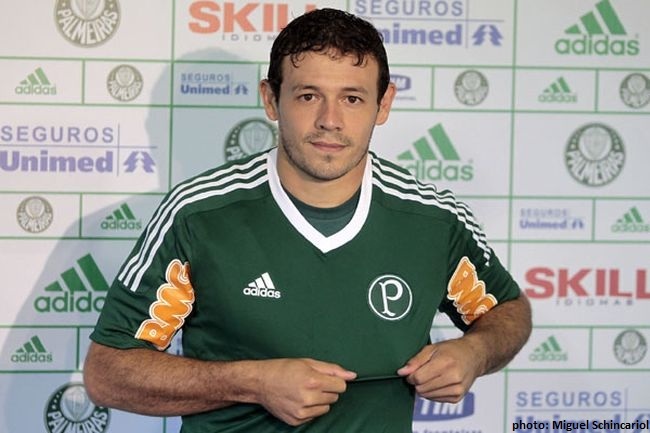 Palmeiras – owner of 80% of the kid’s economic rights – are keen to let him go if the price is right. I must say I think it’s a shame: in 2009 when Vinícius was only 16, he became the youngest player in history to play an official A-team game for Palmeiras. Is this the end of what could have been a beautiful story for Vinícius AND Palmeiras? 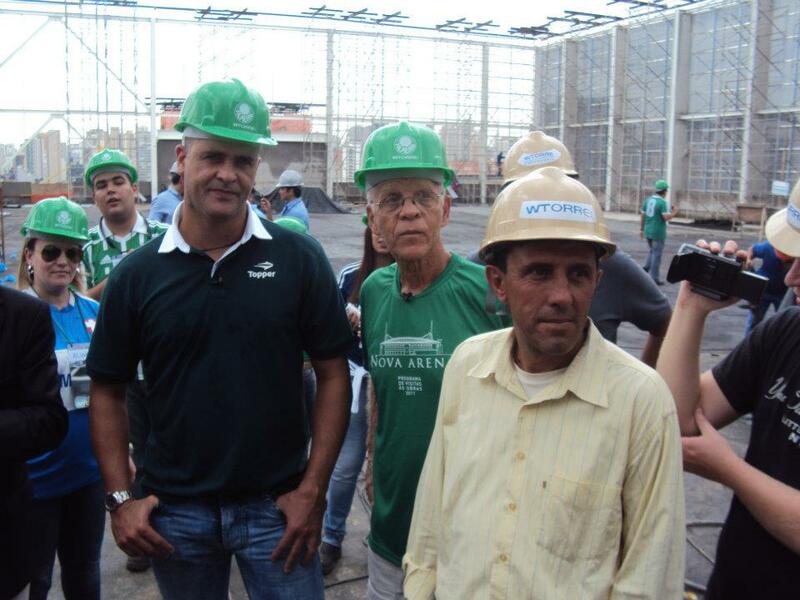 Yesterday Marcos made his debut as promoter of the New Arena, doing a tour of the construction site together with legend Ademir da Guia and a group of 40 visitors. When Marcos returns from his holidays WTorre intends to sign him up as the “ambassador” of the stadium. Marco’s future attributions are not clear, but WTorre has made it clear that it involves much more than just the use of Marcos’ name and image. WTorre is also negotiating the naming rights of the New Arena. Ajax’s main sponsor, insurance company Aegon, has made an offer of US$210 million for 20 years. WTorre has signalled interest, but believes the same amount could be had for a 15-years contract. WTorre is in no hurry to close the deal; in the words of director Rogério Dezembro the more one can show of the actual Arena, the easier it gets to negotiate the naming rights. WTorre is talking to several others and a deal could be closed in 30 or in 180 days, he says. Dear Dagoberto, you are absolutely right! My bad: the text should have been “the third Paraguayan DEFENDER to pull on the Palmeiras jersey”. Will correct a.s.a.p. Thanks!